As we spearhead into a new year, the influencer marketing landscape continues to rapidly evolve. As some trends fizzle out, new ones will spark up and the space as a whole will continue to refine itself. But what are trends you need to be looking out for? 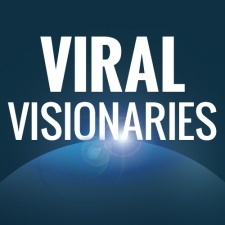 We caught up with our Viral Visionaries, a team of experts in the influencer marketing field. This week, we asked the panel what brands and companies should be doing to make their most of their marketing. Influencer marketing is leaving its awkward teen-years and moving into maturity. In 2019, there will be a greater emphasis on measuring impact rather than impressions. Relationships with influencers are now a given. That can't be your bargaining chip anymore. Being able to tell a story of success backed by validated data will win the year. We predict that the new year will bring a noticeable shift in the practice of influencer marketing. The shift we anticipate will come in the form of holistic concepts, up and coming platforms and evolved processes. As holistic fully integrated influencer marketing concepts continue to grow in importance, the days of ad hoc surface level partnerships will be behind us. We’re entering a new era where 360° partnerships will become the norm and brands will more deeply integrate an influencers’ brand into their own and vice versa. A natural progression from the deepening of these partnerships is influencer products, which we see as the second major trend of 2019. Unlike influencer merchandise where an influencer’s logo is simply placed on an existing good or service, these products will be co-created and fully encapsulate an influencer’s brand and ethos. This trend is quite popular amongst fashion and lifestyle influencers and more recently started to occur amongst gaming influencers; i.e. Jacksepticeye’s and Markiplier’s clothing brand Cloak and PewDiePie’s gaming chair that he brought to life with Clutch Chairz; which reached viral meme status. In 2018, we saw the rise of new social platforms (i.e. Vero and TikTok) that some thought would change the face on influencer marketing entirely. While Vero has since faded into the background, TikTok continues to show promise as one of the most downloaded apps in 2018 and thus a platform worth keeping an eye on. That being said, YouTube will still to be the strongest influencer marketing platform for gaming while Instagram, in general, will the most popular platform for all other industries. With this in mind, we believe Instagram activations will become a major piece of gaming campaigns rather than a secondary or even tertiary component. Finally, the practice will continue to evolve when it comes to the reporting, processes and services associated with influencer marketing. New KPIs will emerge, reporting will be more streamlined and services will be enriched. Consolidation. Consolidation. Consolidation. Influencer marketplaces will go out of business, merge or be acquired to a greater extent in 2019. The biggest wave of consolidation may occur when Facebook begins rolling out a brand collaboration tool for Instagram, but one trick pony companies will begin feeling the pressure and will have to fight to stay alive, whether they are marketplaces, technology or services companies. I expect influencer marketing to move to the next level in 2019. Advertisers are becoming savvier and influencers are better aware of their own value and the results they can deliver. At the heart of the development, I expect (and hope) to see a more holistic approach to using data at all stages of running influencer campaigns. Smart content-matching results into paid campaigns that are better suited for the influencers, being more interesting for their audience - as well as performing better for brands. On the channel side, I expect to see many more "traditional" celebrities embrace social channels and grow their channels rapidly (a la the Rock on Instagram). I also expect to see "traditional" media to move onto social channels, in a more native way than currently. For example, the Vogue is already doing this on YouTube by using a mix of celebrities and influencers so They are also able to produce high-quality content and leverage the following of influencers. On the game influencer side, I expect companies to become more interested in the medium/small channels, instead of being super lured by large subscriber counts. Advertisers are becoming more particular and demanding. In 2019, this will only continue. Brands will no longer tolerate uninspired content, missed deadlines or unprofessional partners; if a tech platform, influencer, talent manager or any other intermediary doesn’t deliver to a high standard, they will simply move on. I expect advertisers to also see beyond the obvious - influencers in their specific vertical. Consumers, including gamers, are a diverse mosaic of individuals with numerous tastes and interests. Many advertisers are starting to understand that they can find their audiences by segmenting and using different affinity groups, be it lifestyle, cooking, extreme sports, etc. or something much more granular and niche. This naturally extends to social platforms like YouTube and IG. Overall, influencer marketing will continue to evolve beyond “lists” of creators, videos and posts and become thoughtfully considered campaigns that use strategy to inform a range of activations, content, and promotion. I agree with a lot of the things my peers have said here, if not all of it. General sentiment: grow up or go home (on all sides of the eco-system). It's quite a natural thing to happen at this point in time when you consider the age of the platform. The latest trendy activity is on track with its lifecycle when compared to the growth/maturation phases of any other entertainment industry segment born before it.